When Christopher Andrew’s Defence of the Realm: The Authorized History of MI5 was published in late 2009, the Australian’s European correspondent, Peter Wilson, hailed it with a short piece headed “‘Mentally ill’ spycatcher more dangerous than KGB”. The spycatcher in question was Peter Wright, whose book, Spycatcher, the British government made strenuous efforts to suppress, only to be foiled in the Australian courts by the young Malcolm Turnbull. The book was published in Australia in 1987 (not 1985, as Wilson reported) and became a best-seller. Wilson’s piece was an eyecatcher, because it concentrated exclusively on the question of Wright’s work and, in particular, his famous claim that Roger Hollis, Director General of MI5 between 1956 and 1965 (and before that Deputy Director General 1953–56), had been a Soviet mole—a claim the authorised historian of MI5 dismisses with contempt. In short, whatever its other merits as a basic chronological history of the existence of MI5, Defence of the Realm fails entirely in what one might have thought would be the prime task of a history of MI5 in the wake of the Cold War: to fully explore and openly explain the catastrophic failure of MI5 with regard to Soviet espionage in Britain between the early 1930s and the mid-1960s, coinciding with Hollis’s career. Given his rather vehement emphasis on the mental capacities of Peter Wright and the innocence of Hollis, in public statements and in thinly documented claims in his book, it is more than a little unsettling to find that Christopher Andrew does not do anything of the kind. This renders the massive book he has written of very much diminished stature and significance. Chapman Pincher’s book, though far from authorised, is a great deal more thorough, forthright and revealing in this respect. And, whatever Andrew may say about Peter Wright, there can be no credible claim that Pincher is mentally ill or a mere conspiracy theorist. Indeed, he is more restrained than the authorised historian in actually drawing conclusions. Whereas Andrew, after a fatally flawed argument that totally omits to address the key problems in the case, declares Hollis innocent; Pincher, after amassing a great deal of circumstantial evidence that Hollis was a GRU mole throughout his career at MI5, concludes that we do not know for sure whether he was, because we do not have access to the GRU archives and Moscow is not telling. However, the Merkulov message to Stalin and Beria regarding Elli, combined with the demonstrable fact that Elli cannot have been either Blunt or Long, constitutes a very considerable problem for those, like the authorized historian, who wish to dismiss the charges against Hollis. Here, as with the Quebec Agreement, however, Pincher has a technical problem of which he seems unaware. If Hollis, putatively a GRU mole, was the one who revealed the treason of Penkovsky, why would he have revealed it to the KGB and not to the GRU? Why would Serov have had to find out from Semichastny, many months later, that he had a high-level British spy in his organisation? The fact that the KGB had discovered him so early, by their own account through a foreign source that they wished to protect, as former KGB deputy chief of foreign intelligence Vitaly Pavlov stated in his 1996 memoir Operation Snow, does suggest a mole, but it isn’t clear that that mole was Hollis. 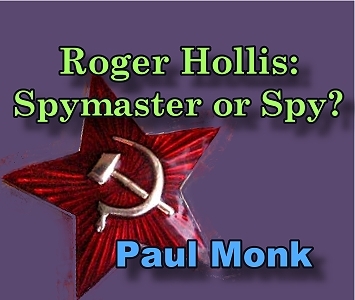 Is it possible that Hollis, in order to lay a smokescreen, passed the information to Moscow via the KGB, while withholding it from his GRU control in London? One would not have thought so. 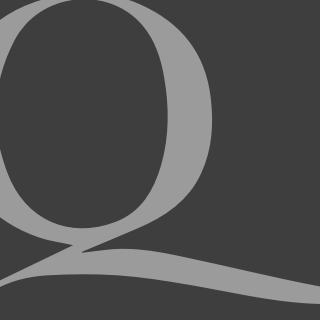 Paul Monk is a frequent contributor to Quadrant. His recent books Sonnets to a Promiscuous Beauty and The West in a Nutshell are published by and available from the Canberra publisher Barrallier Books (www.barrallierbooks.com).